The optical system, construction, and exterior are the same as the EF 75-300 mm f/4-5.6 III USM’s. The difference is that it uses a DC motor instead of a USM to drive the AF.Format Compatibility: 35mm Film / Full-Frame Digital Sensor,Canon (APS-C). New ultra-high ratio zoom lens AF-S DX NIKKOR 18-200mm f/3.5-5.6G ED VR II for use expressly with Nikon DX-format digital-SLR cameras.Dimensions (DxL) Approx. 3.0 x 3.8″ (7.62 x 9.65 cm).A number of unique Nikon technologies have been developed for, and applied to, including a high zoom magnification of 11.1x, a Vibration Reduction (VR II) image stabilization system that provides camera shake compensation equivalent to increases in shutter speed by four stops, and a Silent Wave Motor (SWM), as well as a zoom lock switch. Designed expressly for use with Nikon digital-SLR cameras, exceptional image performance is assured. As the compact AF-S DX NIKKOR 18-200mm f/3.5-5.6G ED VR II covers an extremely wide range of focal lengths (18-200mm, equivalent to 27-300mm in 35mm format; a zoom magnification of 11.1x), it offers excellent versatility for various scenes that include portraits and landscapes. The addition of a zoom lock switch allows photographers to secure the lens barrel at its minimum length, eliminating the natural gravitational effect that can draw the barrel downward during transport. This lens offers superior optical performance in a compact size of just 77 x 96.5 mm, despite a high zoom magnification of 11.1x. Nikon’s Silent Wave Motor (SWM) assures fast and quiet autofocusing. The Vibration Reduction system (VR II) provides camera shake compensation equivalent to increases in shutter speed by four steps.What’s in the box: Nikon AF-S DX NIKKOR 18-200mm f/3.5-5.6G ED VR II Zoom Lens, 72mm Snap-On Lens Cap, LF-1 Rear Lens Cap for F Mount Lenses, HB-35 Lens Hood, CL-1018 Lens Case, 1-Year Nikon Warranty (5-Year Extension is Available After Registration with Nikon). In addition, 2 types of aspherical lenses are combined to help reduce spherical aberration over the entire image area as well as through the full zoom range. Optimized lens coatings also help ensure exceptional color balance while minimizing ghosting. The lens is also equipped with a circular 9-blade diaphragm for beautiful, soft backgrounds. A ring-type USM and high-speed CPU with optimized AF algorithms enable silent and fast autofocusing. Built for the rigors of professional use as well as to meet the increased number of shots available with digital photography, it’s constructed with improved dust sealing and water resistance while fluorine coatings on the front and rear lens surfaces help reduce soiling, smears and fingerprints. A zoom lock lever locks the zoom position at the wide end for safe transporting while attached to an EOS DSLR camera. The ultimate extended-range, ultra-wide-angle zoom lens! Wider and longer than others in its class, this compact, lightweight, high-performance lens for DSLRs with APS-C size sensors provides 35mm equivalent coverage from 16mm ultra-wide to 37mm semiwide, a remarkable 2.4X zoom ratio. With a maximum coverage of over 108°, this state-of-the-art classic is the perfect solution for expanding your visual horizons. This ultra wide-angle zoom lens for digital SLR cameras, with the first-ever focal length range of 10-24mm-the 35mm equivalent of 16mm ultra wide-angle to 37mm semi-wide-angle-is a perfect tool for creating dramatic landscape, cityscape,a nd seascape imagery. At the ultra wide-angle setting, you’ll be able to capture vistas beyond what the eye can see. 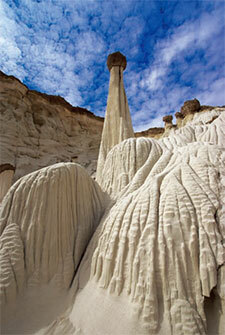 At the semi-wide-angle setting, you’ll capture scenes with angles of view almost as spectacular. Lenses are designed for exclusive use on digital cameras with smaller-size imagers and inherit all of the benefits of our Di products. These lenses are not designed for conventional cameras and digital cameras with image sensors larger than 24mm x 16mm. Tamron SP (Super Performance) series is a line of ultra-high-performance lenses designed and manufactured to the exacting specifications demanded by professionals and others who require the highest possible image quality. In creating SP lenses Tamron’s optical designers put their foremost priority on achieving superior performance parameters—they are all designed to a higher standard with little regard for cost constraints. As a result, Tamron lenses bearing the SP designation feature impressive and innovative designs that have established an enviable reputation for excellence among those knowledgeable photographers that demand the very best. 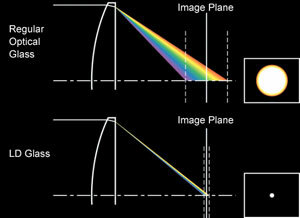 Internal focusing (IF) provides numerous practical benefits to photographers including a non-rotating front filter ring that facilitates the positioning of polarizing and graduated filters, and more predictable handling because the lens length does not change during focusing. Even more important, Tamron’s Internal Focusing (IF) system provides a much closer minimum focusing distance (MFD) throughout its entire focusing range. In addition, IF improves optical performance by minimizing illumination loss at the corners of the image field, and helps to suppress other aberrations that become more troublesome at different focusing positions. 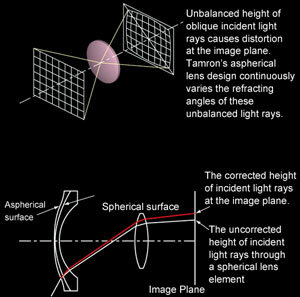 Tamron uses several hybrid aspherical lens elements in many lenses bearing the Aspherical designation. These innovative optics allow us to achieve the ultimate in image quality, and at the same time produce lenses that offer remarkable zoom ranges in extraordinarily compact packages. By perfecting theses cutting-edge advances for series production, Tamron has advanced the state of optical design, and virtually eliminated spherical aberration and image distortion from the high-power-zoom series.Through the effective application of Hybrid Aspherical Technology, one lens elemen tcan take the place of multiple elements without compromising performance. This is what allows us to produce remarkably compact long-range lenses that deliver a uniformly high level of image quality at all focal lengths and apertures. This is considered the standard lens for use with Canon SLR cameras.What’s in the box: Canon Normal EF 50mm f/1.8 II Autofocus Lens, E-52 52mm Snap-On Lens Cap, Lens Dust Cap E (Rear) and 1-Year Warranty.